The Transit Manager Certificate Program (TMCP) was developed by the Florida Department of Transportation’s Office of Freight, Logistics and Passenger Operations. Through FDOT’s, insight and innovation, the TCMP offers professional development to Florida’s public transportation managers, and provides them with the educational tools and resources necessary to solve today’s public transportation challenges. The program, sponsored and directed by FDOT, will be administered by the Center for Urban Transportation Research (CUTR) and offered in cooperation with the University of South Florida’s (USF) Continuing Education’s University College and CUTR. The Program will be structured to offer a combination of online courses, self-paced computer based training, traditional classroom courses and peer to peer exchanges. By being at the forefront of the progressive educational movement and integrating technological advancements, students have easy access to courses that are relevant to today’s public transportation professional. TMCP will provide training in various supervisory and management principles including, but not limited, to leadership, law, finance, supervision, ethics, business communications and performance appraisals. In addition to general supervision and management courses, the TMCP will also include seminars geared specifically to the transit operations, maintenance and administrative challenges within agencies. The seminars, along with networking opportunities, will challenge students with real-world issues and projects to consider and solve. By presenting contemporary seminars and subsequent group projects, students will be fully-engaged in their education development and apply their newly acquired knowledge. The TMCP is a fixed-price, lump sum, 18 month contract. The program shall make courses available to Florida’s transit professionals who work in the area of transit operations, maintenance and administration and have received supervisory and program approval to participate in the TMCP. The course topics offered will include, but not be limited to those outlined in the SOW. The following are specific tasks and deliverables necessary to develop, manage and administer the TMCP. 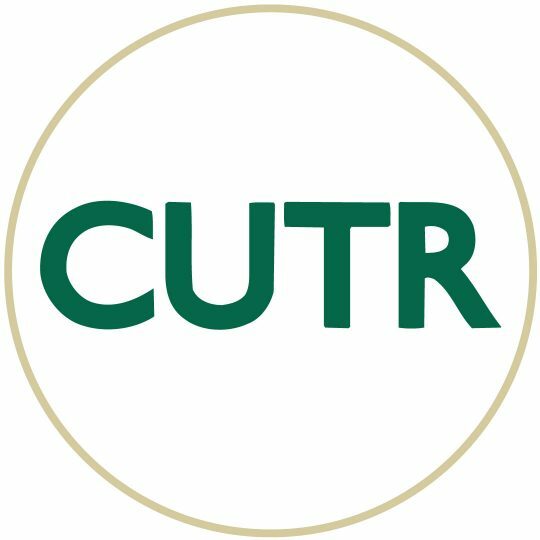 CUTR will work with the University of South Florida’s Continuing Education (CE) Department under the terms of an Inter-Departmental Agreement (IA) to administer, monitor, coordinate and update the TMCP. The agreement will include a provision for tuition and fees, which will be invoiced to CUTR quarterly. It is understood that the TMCP will provide students a hybrid of course delivery methods including traditional classroom instruction; computer based training (CBT), webinars, networking opportunities and conference calls. CUTR will work with CE to review and update each computer based training course as needed, and oversee the delivery of seminar courses with subject matter experts (SME). With FDOT’s guidance and approval, CUTR will develop and administer a candidate/student application and approval process that will include an online, downloadable application and a standardized, documented review and acceptance process. This SOW will include the administration of two TMCP groups, for a total of 24 participants. The two groups will have staggered start dates. One group (12 students) will be enrolled using a 6-8 week timeline per course, and the other group (12 students) will be enrolled on a more accelerated timeline. However, both classes will conclude their online course work simultaneously, and the two groups will attend their seminar sessions concurrently. Based on input and guidance from FDOT, CUTR will develop implement and deliver the TMCP courses including computer based training, webinars and classroom training. CUTR will provide content to CE course developers as needed and will review, edit and approve all course content. Additionally, CUTR will work with SMEs to develop and deliver seminars. CUTR will provide logistical support and coordination for the TMCP including program promotion, oversight of the application and matriculation process, contracting with SMEs, issuing purchase orders, registration students, coordinating lodging facilities and training room locations, audio visual, and provide logistical support to students such as registration confirmation, travel reimbursement, and address all related correspondence needs and requests. An updated Program schedule with explanations of any deviations from the planned delivery schedule or budget. The details shall include the anticipated impact of any delays and a plan for returning to the target schedule or budget. An updated list/summary of any technical assistance activities, as well as expected completion dates. Updates to budget risks previously identified and newly identifies risks and recommended mitigation strategies. Status of unresolved contract questions (if any). A final report summarizing all service and research activities conducted during the Program will be submitted at the Programs conclusion. Edward Bart is a Senior Research Associate at CUTR. Mr. Bart will oversee the coordination, management and administration of the TMCP. Mr. Bart will play a key role in providing subject related expertise in the development of courses and will direct the development of the seminars. Secretary (to be determined) will provide clerical and administrative support including filing, assisting students with travel arrangement and reimbursement, registration, etc. OPS/Website Design (To be determined) will provide technical support for the website, eblast, and maintain and update the program’s website.